Please note the new workday date for this month only. We have moved it to the 4th Saturday due to Easter. Travis Monthly Workday, Saturday April 22 2017, 9 am – noon. We will be working down the Totara / Matai area. At its March meeting the Travis Wetland Trust was pleased to be visited by Bob Andrews. Bob was a friend of Anne Flanagan for many years and shared with us some of his memories of her passion for the wetland. Bob Andrews right and members of the Travis Wetland Trust board. Anne was aghast at the 1976 plan to build homes for 5000 on Travis Swamp ( as we called the area then ). She valued the swamp’s benefit as a wildlife refuge and recognised that filling and building on the site would put surrounding homes at risk of flooding. She was vocal in sharing her views and seeking support. Bob was a great help during these years, driving her to appointments and attending meetings with her. Anne served on the North New Brighton Residents Association for many years and later became President of the North New Brighton Community Council. Bob Andrews left and members of the Travis Wetland Trust board. The campaign to save the wetland grew and in 1992 Anne became the inaugural Chair of the Travis Wetland Protection Group. Bob can remember her great excitement during this time, when she received a Green Award and met the well known British botanist David Bellamy. Sadly Anne died in 1994, so did not get to celebrate the Christchurch City Council decision in 1996 to buy 60 hectares of the wetland and combine it with an existing reserve to form a Nature Heritage Park. 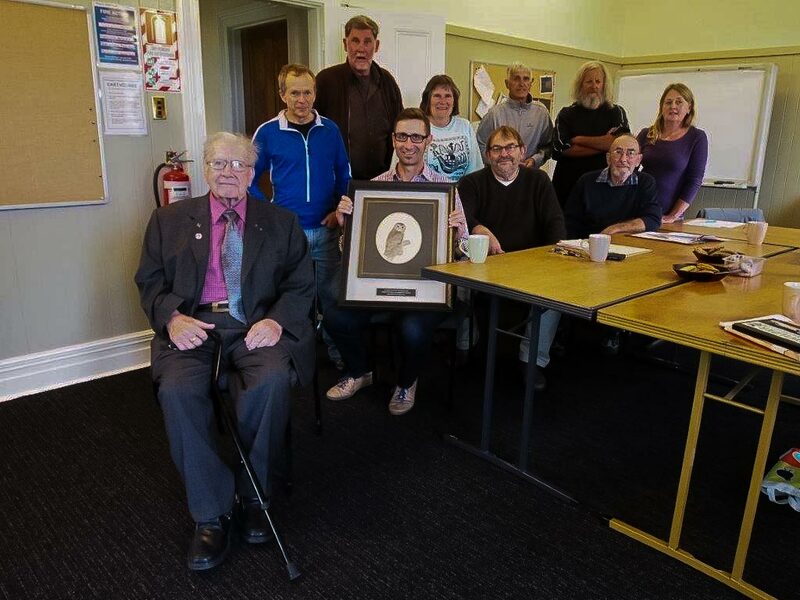 Bob, now aged 86, very generously gifted a 1985 painting by Anne Flanagan to Travis Wetland Trust. 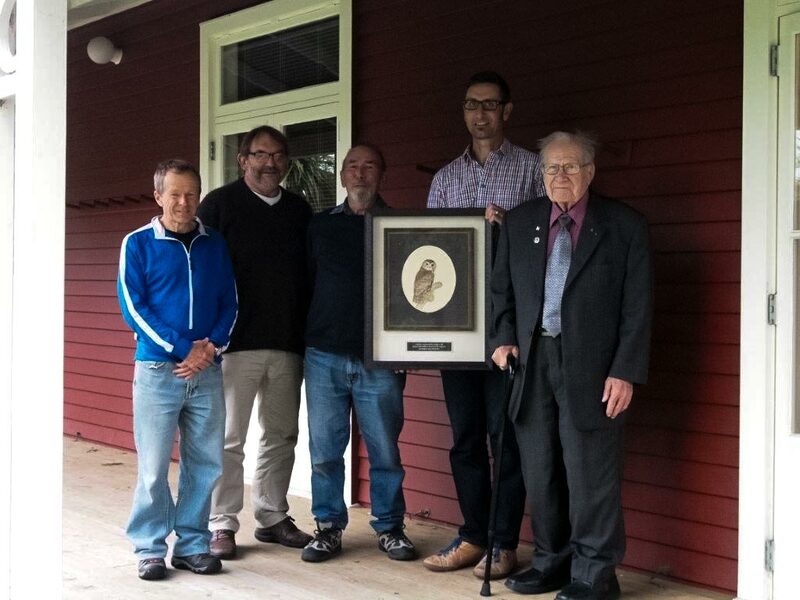 The painting is a finely detailed representation of a morepork and was painted for Bob as a thank you for his many years of support. Bob has kindly had the painting put into a large frame so that it will be protected for years to come. By coincidence, Graeme Duder has presented the Trust with another Anne Flanagan painting, this time of a pukeko and chick. The Trust is very grateful for these gifts and looks forward to displaying them on the newly painted walls of our Education Centre – so a big thank you to Bob and Graeme. To find out more about Anne Flanagan and the early battles to save the wetland, take a look at the displays in our Information Kiosk, and look out for the Anne Flanagan Dell as you walk around the wetland. This marks the site of the Trust’s first restoration plantings. Article Sue Britain, Images John Skilton. 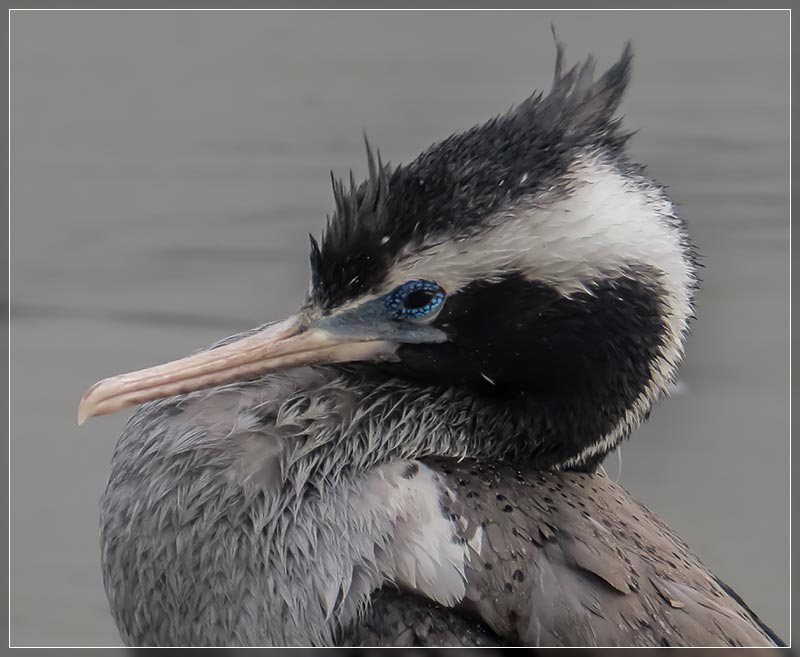 There’s a possibility to see 5 Shag species at Travis Wetland with one of those species having two distinct colour morphs and a variety of variable plumage in between. 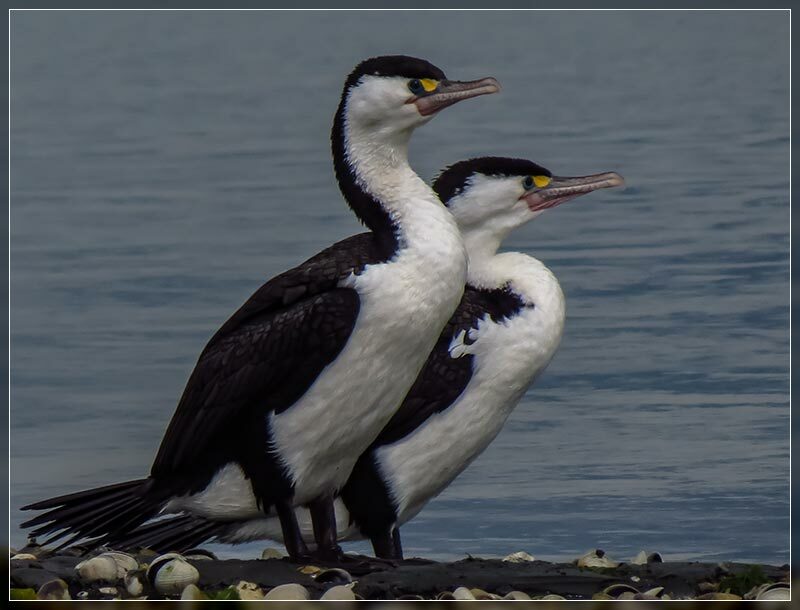 This guide should allow you to id any of the species seen at Travis and probably any Shag seen in the Canterbury area. 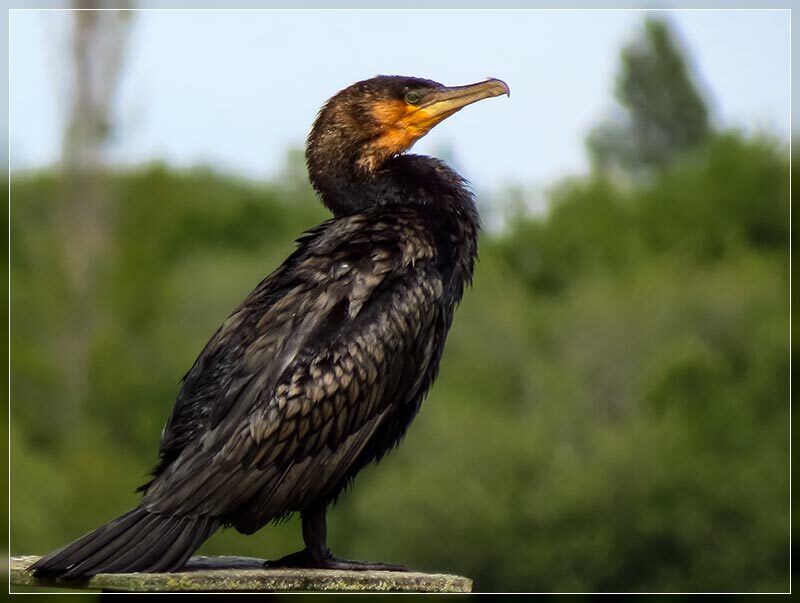 There is much debate about the genetic placement of Shags in NZ. The names used in this article are in accordance with those used in “Checklist of the birds of New Zealand” 4th edition 2010. Identification: This is the largest of NZ’s shags. As it’s name suggests it’s a black shag with browner wings and tail. It has white patches on it’s cheeks and throat and yellow facial skin that turns orange below the eye during breeding season. Breeding adults also have white patches on their thighs, white filoplumes on the neck and crown and a small crest on the neck. Immature similar to adults though more mottled brown and have no white face patch. Bill: Grey, long solid with a hook at the end. Distribution: Widespread throughout NZ, but adults tend to stay close totheir nesting areas. 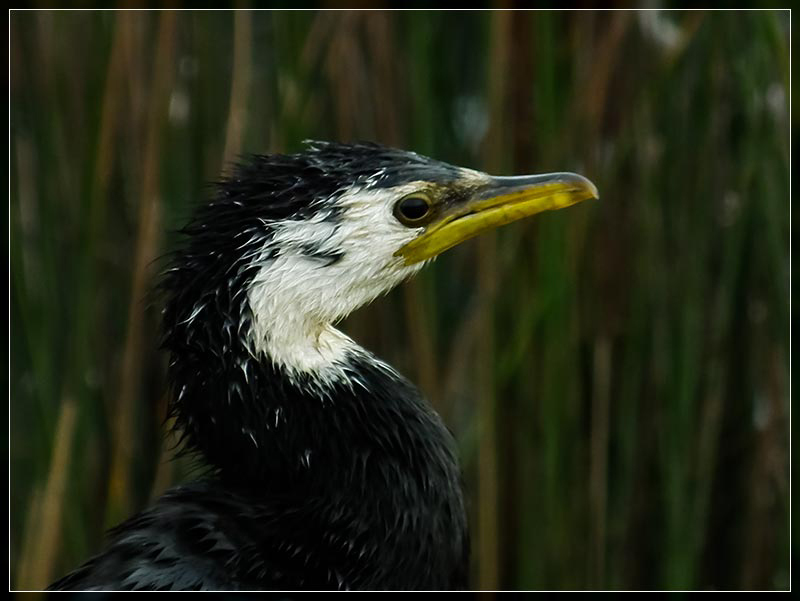 Similar Species: The little black shag is smaller and has a finer bill and no yellow facial skin. 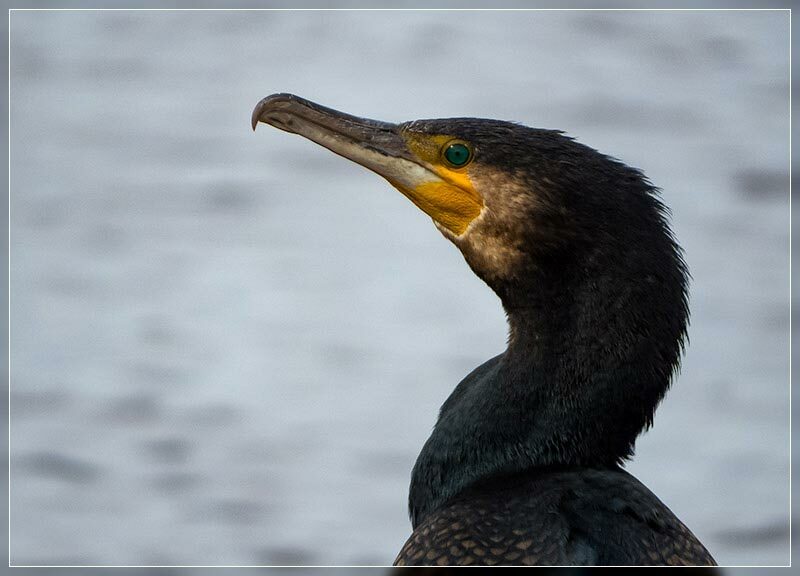 Identification: A small black shag that in sunlight has a green sheen on their upper wing. 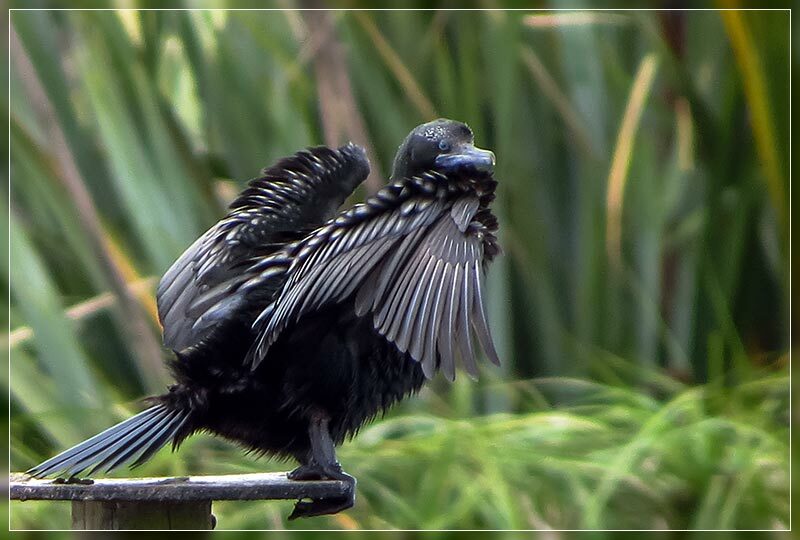 The wing feathers have a scalloped pattern to them. Immatures are similar but brownish. Bill: Dark grey / black, Long slender. Breeding: November – April. Have a look round Horseshoe Lake for the only local breeding colony. Distribution: Common in the North Is but rare in the South Is. Behavior: A gregarious species, in the North Is can be seen in flocks of a 100 or more. At Travis a group of 20 would be considered large. 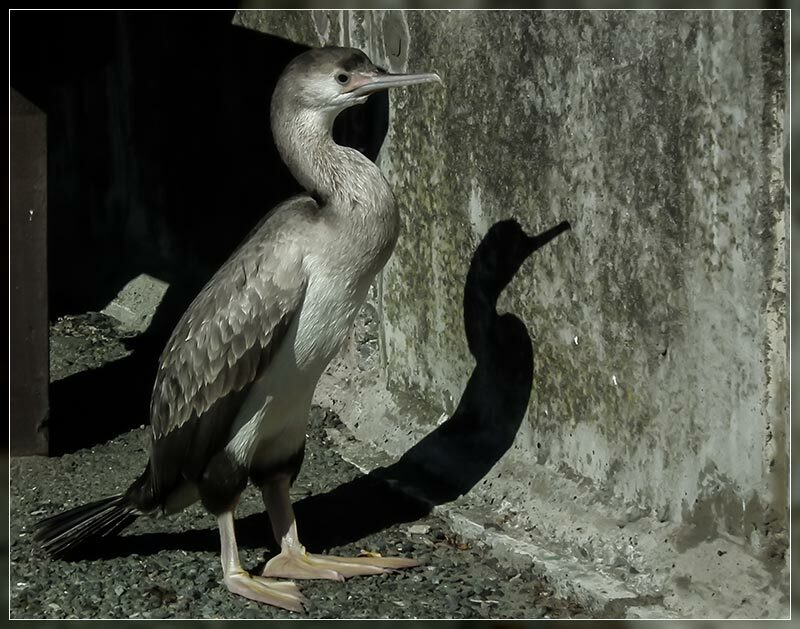 Similar Species: Juvenile little shags can be all black, but they have stubby yellow bills and longer tails. Identification: A large shag. Glossy black above from the top of it’s head down it’s back and wings and tail. Underparts and face white. Bill: Grey, Long with a hook. Breeding: All year. One of the closest colonies to Travis would be the oxidation ponds. 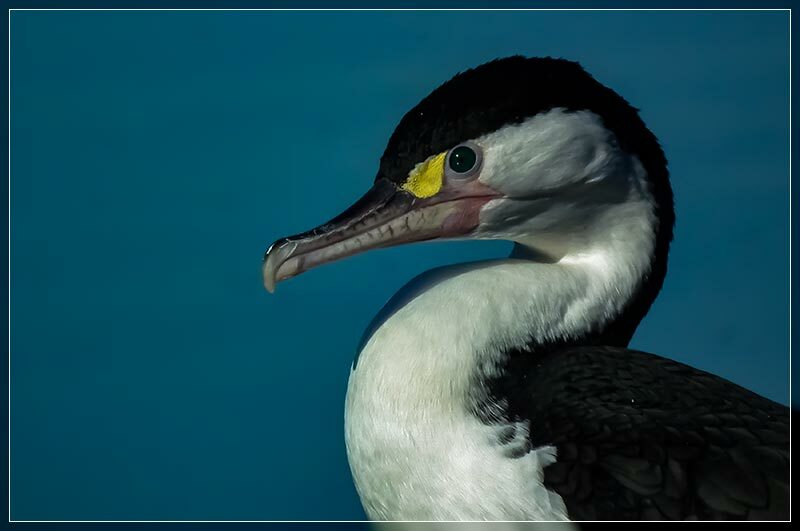 Distribution: Generally a coastal shag occupying coastal waters, harbours and estuaries. Behavior: Generally a solitary forager but will roost in nesting colonys and favoured places at night. 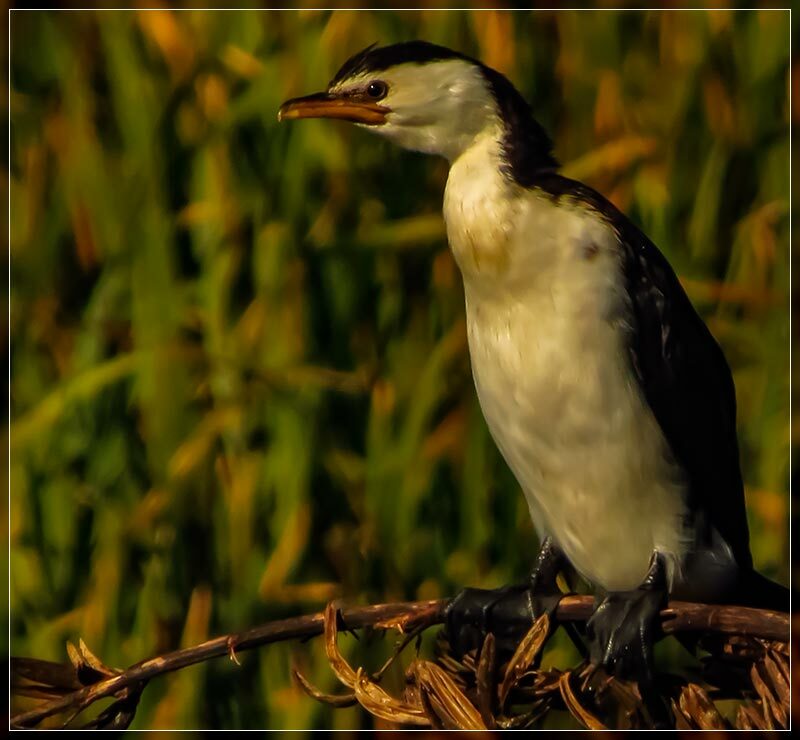 Similar Species: There’s not really anything that can be confused with the pied shag. The pied morph of the little shag is way smaller. Identification: This is the smallest shag and also the one that can cause the most confusion. They have a highly variable plumage ranging from all black to pied. 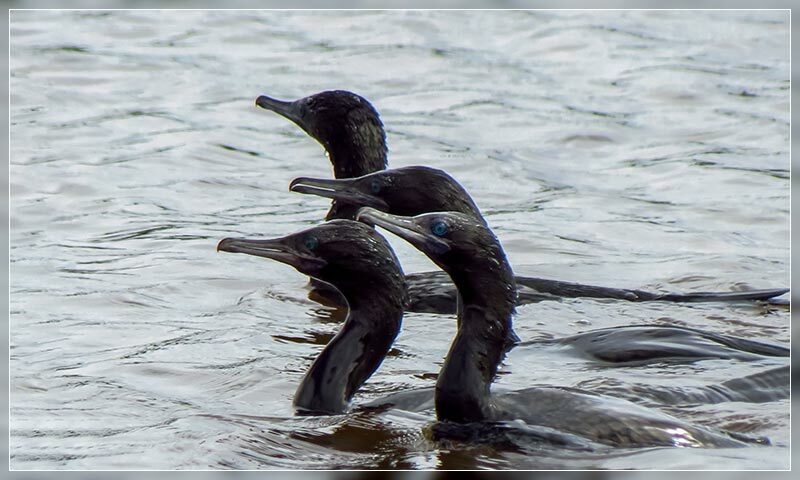 One of the best ways to identify these shags is to look at the bill in adults it is yellow and short and stubby unlike the Little black that is long fine and dark. They have yellow facial skin. Their tail is long compared to the Little black. Distribution: Widespread NZ wide in both coastal and freshwater habitats. Behavior: Generally solitary when feeding. Similar Species: black, little pied and pied shags all have plumages that are similar to either the pied or black morphs of the little shag. However little shags are significantly smaller and have a stubby yellow bill. Identification: This shag would be the most unlikely one you would find at Travis but they have been seen there. They are a medium sized grey brown shag with as their name implies small black spots on their brown wings and back. They have a white stripe up the side of their neck to above their eye. Breeding birds have a double crest on their head. Immature is paler and lacks the white stripe and spots. Bill: Brown, Long slender hooked. Breeding: All year, locally September – November. Nearest colony to Travis is Godley Heads. Distribution: They are mainly found around the South Is in coastal waters and estuaries. Behavior: Gregarious when in colonies. Similar Species: There isn’t really any similar species to this slender pale shag in mainland NZ.